Mobile games have changed a lot over the years. People still have their misgivings about the scene, but the quality of mobile games continues to rise, and with that, some serious money has been made. A few mobile games have even got to make over $1 billion – some of them on an annual basis. So we’ve decided to put together an ongoing list of games officially confirmed, or reported, to have crossed into the $1 billion bracket in lifetime revenues. This list isn’t meant to diminish the quality of games that haven’t hit such a milestone. But rather it celebrates the success of titles that show mobile gaming is as big as any other creative entertainment sector. It also shines a light on the types of games that have become the biggest revenue generators of their generation, and where they did it. Think we've missed a game? Contact PocketGamer.biz Editor Craig Chapple at craig.chapple@steelmedia.co.uk and we'll look at getting it added. You can meet representatives from a few of these companies in person at our Pocket Gamer Connects conferences, which take place around the world. 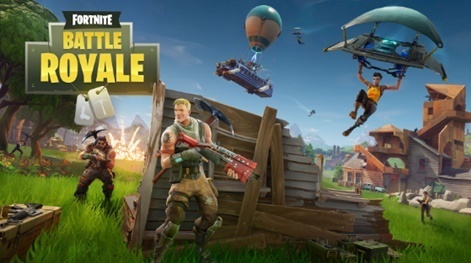 Epic's battle royale sensation Fortnite is in a unique position in the industry - it’s a cross-platform title available on PC, consoles and mobile, offering the exact same experience. It’s an impressive technological feat by the team and the company’s Unreal Engine, helping to spur on a new cross-platform gaming trend that actually works. You can check out our interview with Epic Games’ Arjan Brussee about how the team made this all possible in Fortnite. Not just a game but a cultural phenomenon, in 2018 Epic’s free-to-play battle royale sensation Fortnite made $2.4 billion across platforms, according to SuperData. That made it by far the world’s top-earning game, above Nexon’s Dungeon Fighter Online ($1.5bn), Riot Games’ League of Legends ($1.4bn) and Niantic’s Pokemon Go ($1.3bn). When it comes to tracking mobile sales, things are slightly more complex as while the title is available on the App Store - where it’s a regular top grosser - Epic has sidestepped the Google Play store on Android in favour of its own launcher. Sensor Tower estimates that as of February 2019, the game made $500 million in 326 days on iOS alone. For some perspective, it reportedly took Supercell’s Clash Royale 389 days and Tencent’s Honor of Kings 405 days to reach the milestone. It's not just the sales that make Fortnite one of the most high-profile games around, its cultural impact has been significant, bringing with it glory and controversy, with Epic sued on numerous occasions for its use of certain dance emotes. In February 2019, the game made history by hosting a DJ Marshmello concert that was attended by 10 million concurrent players. That figure doesn’t include those who watched it online. That number makes it the all-time biggest concert in the world. The current Guinness World Record holder for a live-event is Rod Stewart, who performed back in 1993 to 3.5 million people in Rio de Janeiro, Brazil. Fortnite offers a glimpse of what's possible for games as a destination, rather than simply just their core, functional gameplay. And as it reportedly closes in on 250 million players, Epic may have more special events like this up its sleeve in future. Epic Games took home Game of the Year for Fortnite at the Pocket Gamer Mobile Games Awards 2019 in association with Game Insight. It also bagged the accolade for Best Developer on the night. Epic Games was named as the top mobile games studio in the world in the PocketGamer.biz Top 50 Developer list for 2018. Lineage M is a mobile port from NCSoft of the hit PC MMO Lineage. The IP is one of the most popular franchises going in South Korea, and it didn’t take long for the mobile release to make an impact. In just seven hours, the publisher claimed the title had already topped the country’s iOS top grossing chart. That came after 5.5 million players had pre-downloaded the game in anticipation of its launch. It was later reported that Lineage M had raked in more than $233 million in just its first month of release. That surpassed the wildly successful launch of Netmarble’s Lineage 2: Revolution mobile game, which generated $176 million in its launch month. NCSoft also receives royalties from that game thanks to its ownership of the Lineage brand. In January 2018, it was claimed that Lineage M had rocketed past $1.2 billion revenue in its first year, substantially increasing sales from NCSoft’s mobile business along with it. Lineage M hasn’t been able to maintain that success, but then that was always unlikely. It remains a hugely profitable title for NCSoft and is part of a franchise that will no doubt continue to contribute significantly to the publisher’s bottom line in the years ahead. Lineage is one of the top gaming IPs in South Korea, achieving great success on PC. But when one of the country’s key publishers Netmarble picked up the rights to develop Lineage 2 Revolution for mobile from NCSoft, it’s unlikely it could have anticipated just how popular that game would be. Within its first month it picked up $176 million in revenue. If you thought that might not be matched for quite some time, you’d be wrong. NCSoft’s mobile follow-up Lineage M - a port of the original PC MMO - bagged more than $233 million in its first month. By 11 months, Lineage 2 Revolution brought home $924 million. At GDC 2019, Netmarble confirmed during Epic’s State of Unreal keynote that the title had reached the $1 billion milestone in its first year. The game’s success played a key part on Netmarble’s IPO, success it would have been able to leverage to increase its share value. While game sales have slowed for Lineage 2 much as they have for Lineage M, it is still the biggest revenue driver for the publisher ahead of the likes of Marvel Contest of Champions, Cookie Jam, Harry Potter: Hogwarts Mystery and Marvel Future Fight. I’m sure if Niantic had called the pokemon in Google Maps April Fools’ Joke a $1 billion experiment, you wouldn’t have believed it. But after going independent and then turning the idea into a fully-fledged mobile game with Pokemon GO, and delivered location-based gaming and augmented reality experiences to the mainstream. In just seven months after release, the game reportedly generated more than $1 billion. As of March 2019, the game was estimated to have earned more than $2.45 billion. The title was a cultural phenomenon, with tens of millions of avid fans taking to the streets to catch them all. It’s even resulted in various lawsuits and outright bans in certain places, such was its popularity. Pokemon GO is still going strong and is a regular feature in the upper echelons of the top grossing charts around the world. Not just a fad, the various in-game events – though not always successful – and the introduction of new pokemon have kept players coming back. Thanks to a string of in-game and real-world live events and astute live operations, Pokemon Go has steadily been on the rise again since its launch peak. Sensor Tower claims the game made $205 million during the first quarter of 2019, up 40 per cent year-on-year. Particularly given its revenue stream doesn’t just include in-app purchases, but also lucrative sponsored locations and paid-for real-world events. Supercell isn’t messing around when it comes to developing the biggest games around. Harnessing the Clash of Clans IP (a game also on this very exclusive list), it reportedly generated $1 billion in less than a year. The MOBA/card battler has revolutionised how mobile games can monetise, thanks to its innovative four chest system. It also condensed the essence of the hugely popular MOBA genre from PC and deftly brought it to mobile platforms. Its style has been copied by a number of other studios, but so far largely unsuccessfully. Not just that, Supercell has really led the way in real-time PvP on mobile, a trend that’s set to stay. It’s more proof, if you needed it, that Supercell is one of the best developers in the world when it comes to creating exciting, fun games that are innovative and can last. Much like Clash of Clans, you can expect to see Clash Royale at the top of the charts for years to come, particularly if it successfully breaks into the eSports scene (yet another area Supercell is taking the lead in on mobile). NetEase is the second biggest mobile games publisher in China, just behind industry heavyweight Tencent. Alongside its competitor, it regularly dominates the top 10 grossing charts in China - a market far more lucrative than any other in the world. And the game that’s leading NetEase’s multi-billion dollar charge? Fantasy Westward Journey. The MMORPG has had hundreds of millions of players and has become one of the most popular IPs in China. It has regularly charted in second place on the China App Store, just behind mega-hit Honor of Kings. In 2017 Pearl Research reported that over $7.3 million worth of in-game currency was exchanged each day in the game - which lets players trade items and collectibles with each other for currency. In 2017 alone, SuperData reported the game had generated $1.5 billion in revenue. As of 2019 the game continues to be a top earner for NetEase on mobile. MOBA Honor of Kings may just be the biggest game in the world. Taking cues from another massive hit for PC, Riot Games-developed League of Legends (which Tencent also owns), it’s attracted more than 200 million players and reportedly had a peak of had around 70 million daily active users. These kind of numbers boggle the mind, particularly when much of its success comes solely from Tencent’s home country of China. The game has become so popular that the Chinese government has even intervened to hit back at the title, calling it ‘poison’. Not many games prompt the ire of the government that effectively force the developer to implement gameplay restriction for young players. Tencent has limited gameplay to one hour a day for children under 12. Those aged 12 to 18 will be restricted to two hours a day. On top of this, children under 12 will not be able to play the game after 9pm in China. It’s still not stopped the game from reportedly generating over $1 billion since its November 2015 beta release. As of March 2019 lifetime sales are estimated to have hit $4.5 billion. It's not clear however whether that figure takes into account the rumoured $1 billion Honor of Kings is claimed to have made in February 2019 alone. While most of its success emanates from China, the game has been released across the world under a plethora of different names as Tencent doubles down on localised versions of the title. It’s known as Arena of Valor in the West (previously Strike of Kings) and Penta Storm in South Korea. It’s also been known as Realm of Valor and King of Glory. Fate/Grand Order is one of mobile gaming’s most peculiar smash hits. Not because the game doesn’t fit in with the Asia market’s thirst for RPGs, but because it sits in Sony’s Music division. Developed by Delightworks, the title is published by Aniplex, a subsidiary of Sony Music Entertainment Japan. When that division posts a big profit - much of that money comes from Fate/Grand Order’s billions. SuperData claims that in 2017, the title made $982 million. By March 2019, Sensor Tower estimates the game reached $3 billion in worldwide player spending. That makes it one of Sony’s all-time biggest gaming successes. Players in Japan are said to have contributed 82 per cent ($2.46 billion) of that, with China and the US coming in at a distant second and third. In recent times the title has appeared on and off in the top 10 grossing rankings on the Chinese App Store. Still regularly hitting the top spot in Japan, don’t expect Fate/Grand Order to stop raking in the billions anytime soon. How do you follow up a massive hit like Game of War? Swap fantasy for a real-world war theme and slap Arnold Schwarzenegger on the marketing and voila – you’ve got your next $1 billion game. Obviously it’s not that simple, but MZ, with its huge marketing budget, makes it look easy. Not cannibalising Game of War, Mobile Strike has proven an equally successful addition to MZ’s portfolio. And much like Game of War, you’re unlikely to miss it from the incessant advertising. But it’s worked – MZ’s big Super Bowl ad was the most watched ad on YouTube in 2016 with over 100 million views. Another Mobile Strike ad from 2015? Well at the time of writing, that has over 197 million views. The title began to fall away slightly in 2017 in the top grossing charts after MZ seemingly pulled the plug on marketing for the game. The game has now dropped out of the top 100 grossing rankings on the US App Store, as MZ appears to be focusing its efforts on Final Fantasy XV: A New Empire. Bandai Namco has carefully built up a mobile gaming powerhouse with Dragon Ball Z: Dokkan Battle. The team’s approach to live operations and in-game events has seen the title come on in leaps and bounds to become a $1 billion-plus generator. Back in 2017 we analysed how the game went from grossing outside the top 400 in the US to a big hit. That year it achieved the number one spot following a 77-hour in-game summoning festival, which offered the chance of receiving coveted characters Super Saiyan God SS Vegito and Goku Black Rose. This offer coincided with a plotline in the Dragon Ball Z TV series and was hyped up for months prior in the game and across social channels. Players reacted positively, heading into the game for the chance to get the characters for themselves. It’s a strategy that our Mobile Mavens were particularly glowing about (a special shout out to MobileFreeToPlay consultant Adam Telfer for his analysis). By July 2017 Dokkan Battle had surpassed 200 million downloads. As of March 2019, Sensor Tower estimates the game’s lifetime revenue to date had hit $1.6 billion. That came after its best month ever in February 2019 where it generated around $78.6 million. For more insights on the evolution of the game, check out our interview with Dragon Ball Z Dokkan Battle producer Kensho Monden on how it kept the title going three years after launch. Summoners War is unique in that it’s a game developed in South Korea but has found most of its success internationally - though it's no slouch at home either. It’s generated more than $890 million overseas, still leaving a cool $100 million+ from earnings in its home region. Despite being three years old (it was released in June 2014), Summoners War appears to be increasingly more popular with each passing month. Com2us aims to capitalise on its success by developing a new MMO based on the IP and publishing the title as an eSport. To that end, the developer is running a Summoners War World Arena Championship through the second half of 2017. Not content with just the gaming space though, there are plans afoot for cartoons, a movie and merchandise all based around the IP. Its easy to see the game itself making another $1 billion, and with other projects in the works, Summoners War is very much about to become a multi-billion dollar franchise. As of February 2019, Summoners War crossed 100 million downloads. While it clearly has a large and very engaged audience to break through the $1 billion barrier, Boom Beach is one of Supercell’s lesser-known hits. Perhaps not as big as its siblings Clash of Clans, Clash Royale and Hay Day, Boom Beach would be a flagship title for any other mobile games studio. But as you’ll see from this list of $1 billion mobile games, Supercell is different. All four of its first releases have reached the milestone, a feat it’ll hope to achieve again with its fifth title Brawl Stars. We’ve covered Boom Beach’s charting performance previously, showing how it maintained a top 20 position in 2015 and 2016 before steadily facing decline on both US app stores. It’s fallen outside of the top 100 grossing spots in markets such as the UK and US in 2019 - but Supercell is still hard at work on the profitable game, with high expectations around its big Warships update. One things for sure: Japan likes its dragons. Following quickly on from Puzzle & Dragons, Mixi’s Monster Strike became Japan’s number one top grosser in 2014 and has continued to generate millions of dollars a day since. In August 2015, it was reported the game was earning some $4.2 million a day. Much like Puzzle & Dragons, nearly all of Monster Strike’s success came from Japan as it struggled to find engaged users elsewhere in the world. But unlike GungHo, Mixi’s revenues actually grew in 2017 after it managed to grow the userbase of Monster Strike, even hitting a record number of players. By October 2018 it was estimated that lifetime sales had surpassed $7 billion. Mixi’s managed to grow the franchise to create merchandising around the brand, as well as release an anime based on the IP. It’s also running eSports tournaments and lotteries for the game. The IP has shown remarkable resilience and longevity and, even if Monster Strike fades over time, the franchise looks like it might just live on for a long time yet. Perhaps in another billion-dollar mobile game? MZ cuts a somewhat controversial figure in the games industry. It’s at times brutal monetisation practices and complex game design aren’t for everyone, as it focuses on the spenders in its titles and building close-knit communities. But there’s a lot to be learned from MZ who have proven masters of creating high revenue generating games. It all kicked off with Game of War: Fire Age in July 2013, which has laid down the foundations in game design, technology and marketing techniques for its latter titles Mobile Strike (also on this list) and Final Fantasy XV: A New Empire (perhaps a $1 billion contender in the future). You may have come across Game of War in the past from any game that used advertising, including playable ads – though that’s something MZ has pulled back from when it comes to this title. You may also recognise those infamous Kate Upton ads on TV. MZ has certainly never been shy about ploughing many millions of dollars into its user acquisition campaigns and attaching a well-known face to the marketing. It’s all helped spur Game of War on to well over $1 billion in lifetime revenues - it's been the number one top grossing game in 111 countries, according to App Annie. And while Game of War may be reaching the end of its life, it's still generating revenue for MZ. Disney Tsum Tsum’s performance has been remarkable since its 2013 release. It’s rarely slipped out of the top 10 grossing charts in Japan, though it’s perhaps not been as big a title elsewhere in the world. But it's still been able to hit a significant milestone. On April 11th 2017 it surpassed $1 billion in lifetime revenues. And just after that, on April 29th 2017, it hit 70 million downloads. By February 2019, the game reportedly surpassed $1.5 billion in sales. Disney has also benefitted hugely from the Tsum Tsum brand. Combined game and merchandise sales are said to have reached a combined $2 billion. If you know one mobile game, it’s probably Candy Crush Saga. If you’ve played one mobile game, it’s probably Candy Crush Saga, too. The title perfected the match-three genre for mobile devices and has become not just a hugely successful game (and franchise), but a cultural phenomenon. There’s a reason there’s now a Candy Crush game show in the US that is attracting four million-plus viewers. In 2017 we reported the title had only dropped out of the US App Store top 10 grossing charts twice in over four years, and while its sequels have been highly lucrative themselves, they’ve never quite managed to match the original. Back in September 2016, it was reported that an average of 18 billion games in Candy Crush Saga were being played every month. It’s easily surpassed one trillion game plays since it was launched on Facebook in 2012. The title's multi-billion-dollar success (as well as the rest of its hugely popular titles) is a key reason why Activision Blizzard swooped in to buy King for $5.9 billion in November 2015. As of October 2018, Candy Crush Saga was estimated to have reached $3.91 billion in lifetime revenue. There’s only one Supercell. And it should come as no surprise that the Finnish developer is on the list of mobile’s biggest revenue generators. Clash of Clans was released five years ago on August 2nd 2012 and to this day it remains one of the highest grossing games period, not just on mobile. It’s thought to be raking in $1 billion a year, making it a multi-billion-dollar game. Supercell hasn’t simply rested on its laurels with the game – despite having a comparatively (to other developers) tiny team working on the title. The release of a major ‘Builder Base’ update, which introduced some major changes including simultaneous PvP gameplay, helped boost sales once again for the ageing title. In July 2018, it was estimated that Clash of Clans had surpassed $4 billion in revenue. Clash of Clans is the pinnacle of the build-and-battle strategy genre on mobile, perfecting the design and monetisation that’s led it to become such a force in gaming. You can find out more about how the team has kept the game going so strong after five years in our interview with the title’s Senior Server Engineer Jonas Collaros. When a lot of people think of Supercell, they think of it as the Clash of Clans studio. But the game that started it all was in fact Hay Day (unless you count Gunshine, of course). Mobile farming game Hay Day was first launched in 2012 on iOS, before coming to Android over a year later. It launched around a month and a half before Clash of Clans did, and while the latter has had explosive growth, Hay Day itself is no slouch and has bagged over $1 billion. But don’t take our word for it - Supercell CEO Ilkka Paananen revealed the news himself in the company’s 2018 financials. All of the company’s first four game releases - Hay Day, Clash of Clans, Boom Beach and Clash Royale - have all made more than $1 billion. At the time of writing (April 2nd 2019), Hay Day was still a regular top 80 grossing mobile game on the US App Store. If there’s any game that can show the longevity to be had on mobile - it’s Hay Day. GungHo’s match-three monster-battling RPG Puzzle & Dragons will be remembered as one of the most significant mobile games of all time. Released in Japan in February 2012, it was the first game to, officially at least, cross the $1 billion sales milestone. It showed just how popular mobile games can be and has its blend of match-three, RPG mechanics, collectibles and gacha monetisation have been hugely influential on that Japanese mobile games market. What’s even more impressive (depending on how you look at it), is most of this revenue came from just Japan, where the title has been most successful by far. By July 2017 the game has achieved 46 million downloads in Japan alone. For some perspective, in 2016 Japan’s total population was said to stand at around 127 million. Revenues from Puzzle & Dragons have been on the decline in recent times, but years after launch it’s still no slouch. In fact, lifetime earnings from the game are estimated to have exceeded some $7 billion. Not one single game, but across the EA Sports franchise the publisher is estimated to have generated $1 billion on mobile. That’s at least according to Sensor Tower, which claims the majority of sales (49 per cent or $490 million) have come from the Madden NFL franchise as of January 28th 2019. The free-to-play FIFA games meanwhile have generated approximately $360 million and NBA Live Mobile Basketball has bagged around $140 million. EA Sports has been a regular, consistent earner for EA on console over the years. On mobile, while it’s hit $1 billion, it’s not been quite so consistent. In November 2018, EA reported mobile growth of just one per cent year-on-year. At the time, CEO Andrew Wilson noted the decline of Madden Mobile had offset the growing success of FIFA. The issue was brought up again in its Q3 FY2019 financials, with EA CFO Black Jorgensen admitting that changes made to Madden Mobile had continued to reduce monetisation. If EA Sports is going to generate another $1 billion on mobile, the publisher will need to see a resurgence in Madden earnings and maintain the growth of FIFA - consistently.